We’ve all experienced the eerie feeling. A song comes on and you feel time stop as you relive a specific moment in time, released from the grips of memory by a recognizable beat or melody. 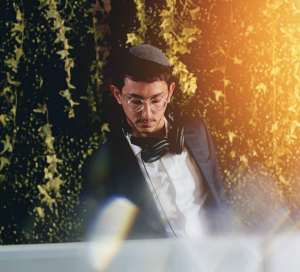 DJ Salty uses his musical ability to create these extratemporal moments for others. At 18, Salty traveled to over 20 countries, living in France, South Africa and Australia for periods of time. His travels exposed him to even more variations of music and art, and he uses his unique life experiences in the creation of his own sound. Mendel Zaltzman grew up in Toronto and has been playing music since he was young. His nickname, Salty, is a translation of his last name which means “Salt Man”. Most recently, DJ Salty has partnered up with Hardcor Snackie in the creation of an entertainment business “Sweet and Salty Entertainment”. He hopes to continue DJing and looks forward to his continued personal and professional growth. Taste DJ Salty’s music for yourself! Check him out on Instagram and Facebook!